The 80.2km-long Van Don – Mong Cai Highway with four lanes for vehicles will be carried out under the build-operate-transfer (BOT) form with a total investment of nearly 11.2 trillion VND (492.58 million USD). Fees will be collected for 20 years on the highway. Meanwhile, the 27 km-long coastal road linking Ha Long - Cam Pha will be implemented under the build-transfer (BT) form, with a total investment of 5.6 trillion VND (246.4 million USD). Construction of the Vingroup-invested project will begin by the end of June. 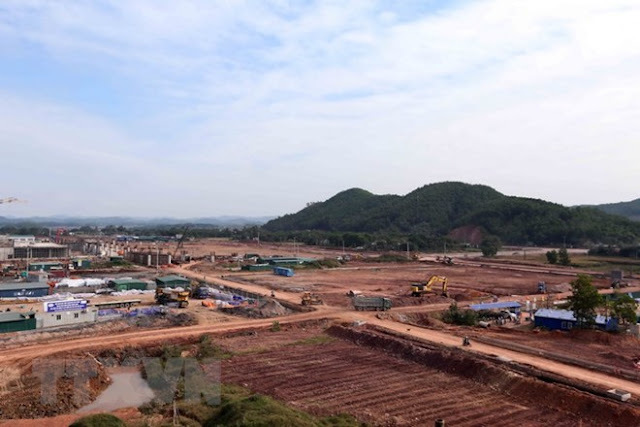 Once completed, the road is expected to help ease traffic on National Highway 18A section running through Cam Pha city, while forming a modern and comprehensive transport network connecting urban areas in the province. The 1.3km-long undersea tunnel project in Ha Long city is estimated to cost 7.875 trillion VND (346.5 million USD). The provincial Department of Transport will set up a management board of the project. Public opinions will be collected after a feasibility study report is completed. Once approved by the Prime Minister, the project will be commenced in 2019. The implementation schedules of the three projects will be reviewed at weekly meeting of the provincial People’s Committee, said Vu Van Hop, chief of the committee’s office.